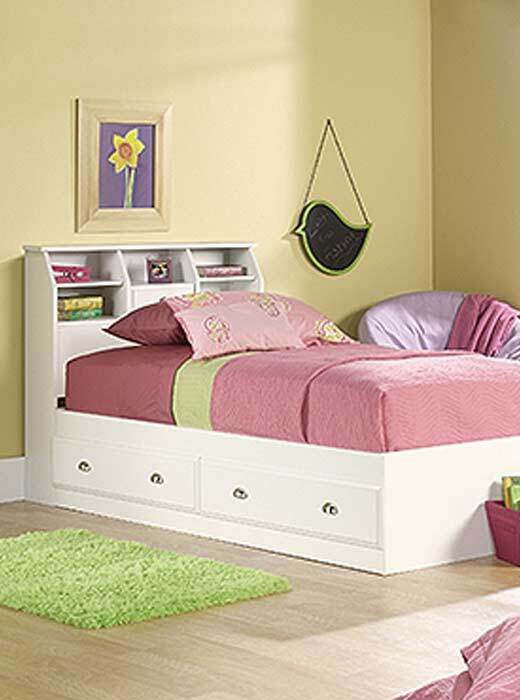 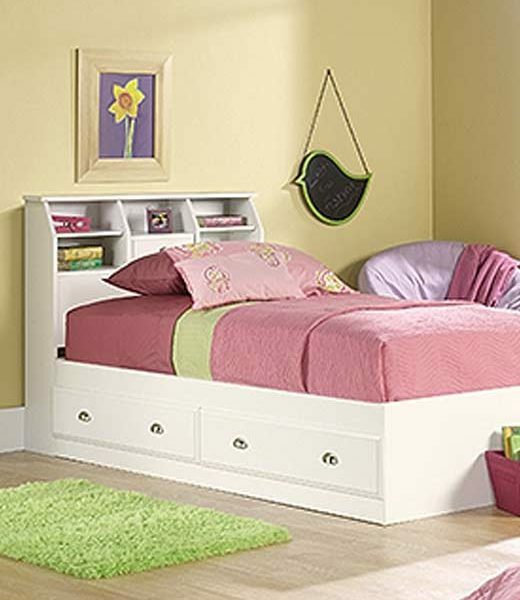 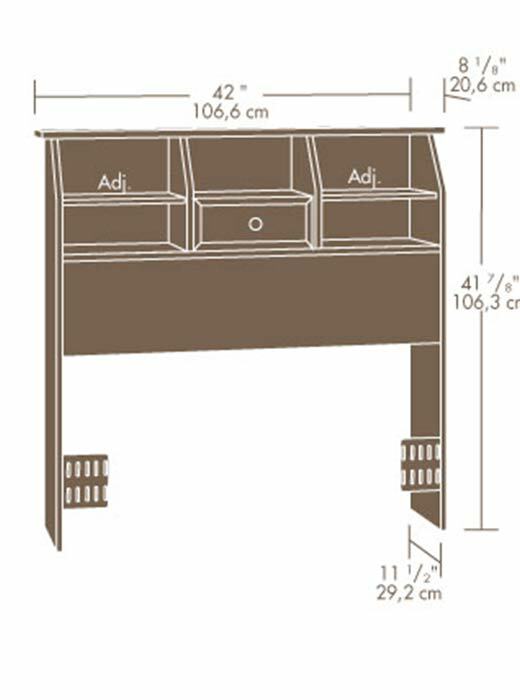 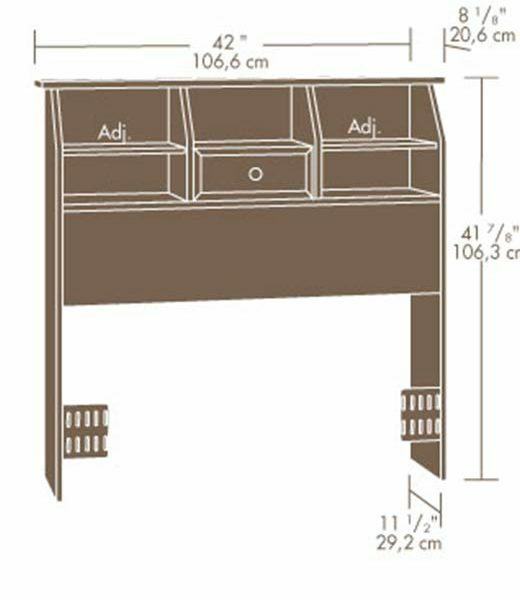 This Sauder bookcase headboard is designed to attach to a twin size bed. 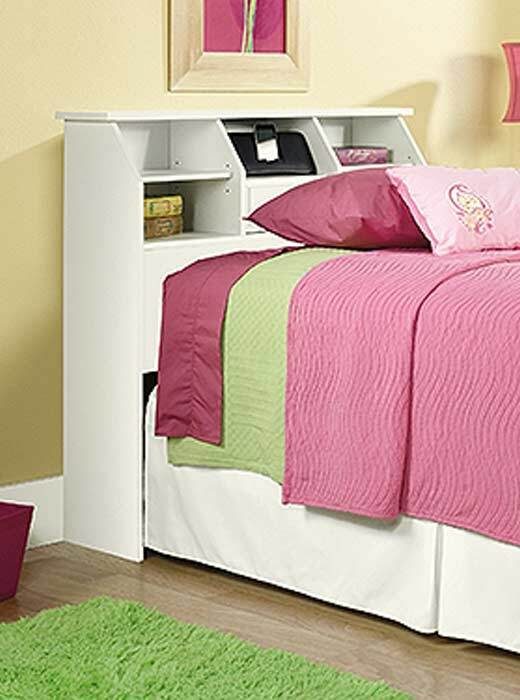 The spacious display area on the bookcase is designed for an alarm clock and books. 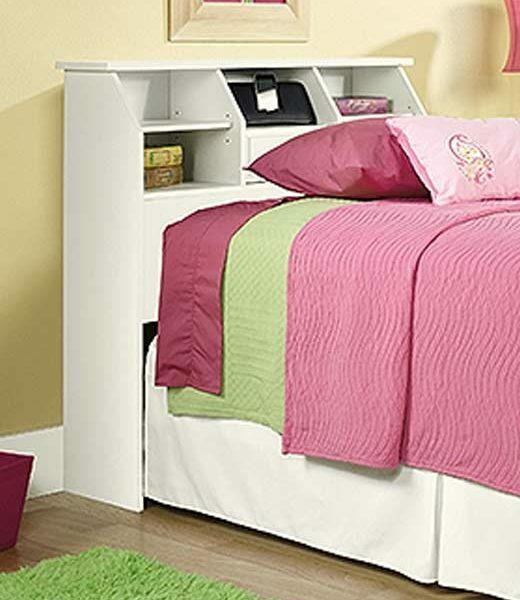 This bookcase headboard also features two adjustable shelves and hidden storage behind a flip-up drawer front.